The Double Benefit shows for Sabu on April 17, 2005 called "WE LOVE SABU" at the Tokyo Differ Ariake drew crowds of 303 fans for the 12:30 PM show and 501 for the 6:30 PM show. Sumie Sakai, the promoter booked many of the former FMW wrestlers to participate in the show including Hayabusa, Masato Tanaka, Mr. Gannosuke, Megumi Kudo, Kintaro Kanemura, Tetsuhiro Kuroda, Mammoth Sasaki, GOEMON, Onryo, Hido, Shark Tsuchiya, Hisakatsu Oya, Ricky Fuji, Miss Mongol, Gosaku Goshogawara and Kaori Nakayama. The main event of the Night show consisted of the former FMW team of Kintaro Kanemura, Tetsuhiro Kuroda, and Mammoth Sasaki facing former FMW wrestler Masato Tanaka who teamed with Ikuto Hidaka & Minoru Fujita. The match started off right away with rivals for over the past 10 years in Masato Tanaka and Kintaro Kanemura going right at it with each other. It would start on the ramp entrance next to the ring where Tanaka would supplex Kanemura, and then when both would finally get in the ring, Tanaka would unload his arsenal on Kanemura including several running elbow smashes to Kanemura's face. 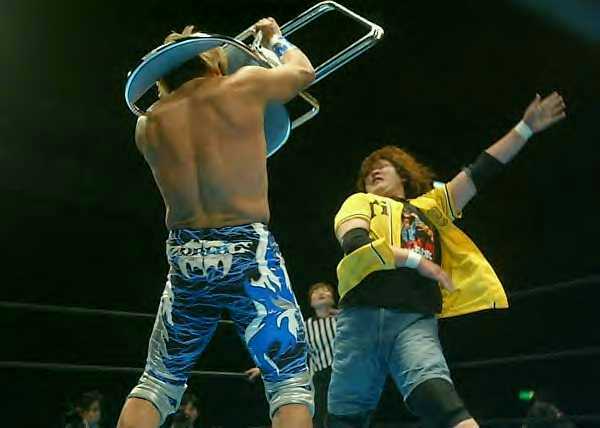 Tetsuhiro Kuroda and Ikuto Hidaka would eventually square off in the ring, with Hidaka using his speed to dodge Kuroda's clotheslines and deliver a spinning heel kick to Kuroda. Mammoth Sasaki and Minoru Fujita would be the same result with Fujita using his agility to escape the bigger Mammoth, but when Hidaka would attempt to help out his team mate, he would eventually get caught by Mammoth who would bring in two chairs to the ring and smash Hidaka with the Mammoth Home Run, although it would not be enough. Finally, Tanaka and Kanemura would go at it one last time with this time Tanaka finishing off Kanemura with a Bullet Elbow for the pinfall victory over Kanemura at 14 minutes, 50 seconds. 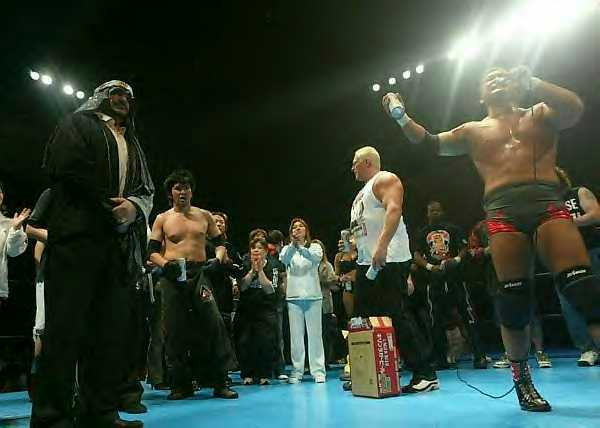 Afterwards, Tanaka would grab the mic and call everybody to the ring including Sabu. Tanaka would thank Sabu for everything that he has done in the business, and wishes the best for his health, and the money raised would help pay for his hospital bills. 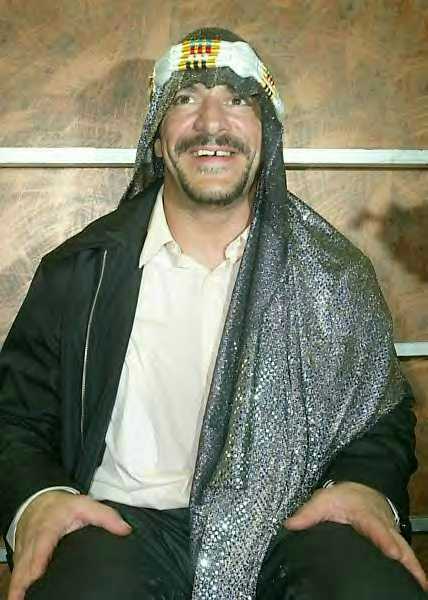 Sabu's friend from ECW The Sandman would bring a large case of beers to the ring as everyone would grab one and toast Sabu to end the show. Big Japan's Ryuji Ito would team up with The Sandman to face Hido & Necro Butcher in the semi main event of the show. The match would be a short brawl with all the wrestlers brawling around ringside and Ito getting busted open, as well as The Sandman trying to cane everyone in sight before finally landing a shot at Hido with Ito following up with a Dragon Splash for the pinfall over Hido at 6 minutes, 14 seconds for the win. 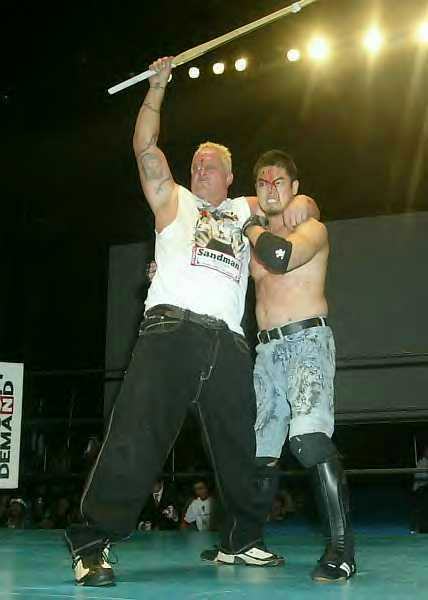 The Sandman & Ryuji Ito would celebrate afterwards, but Necro Butcher & Hido would stay at ringside with Butcher grabbing one of The Sandman's beers and smashing it over his head repeatily. GOEMON & Big Japan's Daisuke Sekimoto would team up to face The Apache Army's Akrangers Takashi Sasaki & GENTARO. GOEMON who has had a long going feud with GENTARO mostly dating back to July 7, 2003 when GENTARO wanted nothing to do with GOEMON & Onryo's reunion back as a team. Since then GOEMON has faced both Takashi Sasaki & GENTARO multiple times with GOEMON & Onryo eventually being tossed from the Apache Army in favor of Sasaki & GENTARO. 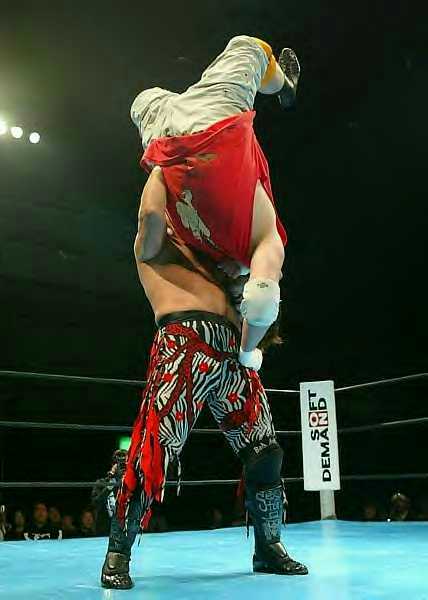 GOEMON & Sekimoto would have the advantage in the match early, with GOEMON placing GENTARO in the Camel Clutch in a tribute to Sabu while Sekimoto placed Sasaki in the Torture Rack. But it would be the Akrangers to once again get the upper hand on GOEMON after Sasaki would eventually pin GOEMON with the D Geist for the victory at 13 minutes, 38 seconds. Mr. Gannosuke who was once a Funk Masters of Wrestling companion in 1997 with Shark Tsuchiya would team up with her as well The Winger for 12:30 PM show facing off against Seiji Ikeda, Sumie Sakai, and their Mystery Partner Eddie Edwards. Ikeda would show respect to Sabu by not only wearing a Sabu shirt during the match, but also placing Gannosuke in the Camel Clutch. It would not take long though for Shark Tsuchiya to pull out her Mr. Pogo like scythe and begin carving away at Ikeda and cutting him deep. Seiji Ikeda would eventually make a comeback and take out Mr. Gannosuke while firing up as Eddie Edwards would place The Winger and Tsuchiya on top of Gannosuke allowing Sumie Sakai to come off the top rope on all three of them. Eventually, Tsuchiya would end up making the difference in the match as she would be too much for Sakai as Tsuchiya would end up finishing off Sakai with the Shark Bomb at 17 minutes, 51 seconds for the win. Onryo would team up with fellow 666 members Crazy SKB & Mystery Partner Shinobu to face off against Asian Cougar, Asian Condor, and Asian Monkey. Although the 666 team would have the advantage early with SKB putting Asian Monkey in the Camel Clutch and Onryo & Shinobu delivering a double dropkick to the face to Monkey, it would be Asian Cougar to take control of the match by taking out Shinobu after placing chairs on top of him outside the ring and delivering a plancha on to Shinobu with the chairs on top of him, and then finishing Shinobu off with the top rope guillotine leg drop to get the win at 14 minutes, 24 seconds. Two weeks removed from the 10 year Anniversary of The Love Guns Hisakatsu Oya & Ricky Fuji winning the FMW Brass Knuckles Tag Team Titles, Oya & Ricky would team up once again to face off against Gosaku Goshogawara & Masaru Toi. Oya & Ricky would both deliver their signature moves including Ricky delivering the Brainbuster on Goshogawara before finishing off Toi with their signature tag team move of Oya delivering a supplex to Toi with Ricky clotheslining him as Ricky would pin Toi for the victory at 10 minutes, 43 seconds. In the second bout of the 12:30 PM show, there was a Battle Royal with 12 Mixed Person Battle Royal. Including in it was new WMF wrestler Lingerie Muto in the picture above. Women's wrestler GAMI ended up winning the Battle Royal after last eliminating Fang Suzuki for the win at 24 minutes, 13 seconds.